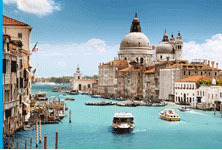 Autohotel Venezia, great prices and convenience! Double rooms for only €60 and singles for €50, all with en suite bathroom, hair-dryer, air conditioning, satellite TV and free WiFi. Free private parking outside every room included: no problems with heavy luggage! 24-hour check-in service: no restrictions on arrival time! Group savings: if you are travelling with a party, use hotel group bookings. It is located on the A4 Padua-Venice, 26 km from Venice and 25 km from Padua; only 700 m from Dolo station and 20 km from Marco Polo airport! And for lunch and dinner, sample Bepi and Ciano’s cuisine in traditional Venetian style at El Venexian restaurant! Autohotel Venezia is ideal for those on business trips, families and groups who want to visit Venice or Padua on a budget and with the guarantee of comfort and security. What are you waiting for? Check for availability now!